There's a new arrival on the whisky supermarket shelf and its an old friend in new clothing. 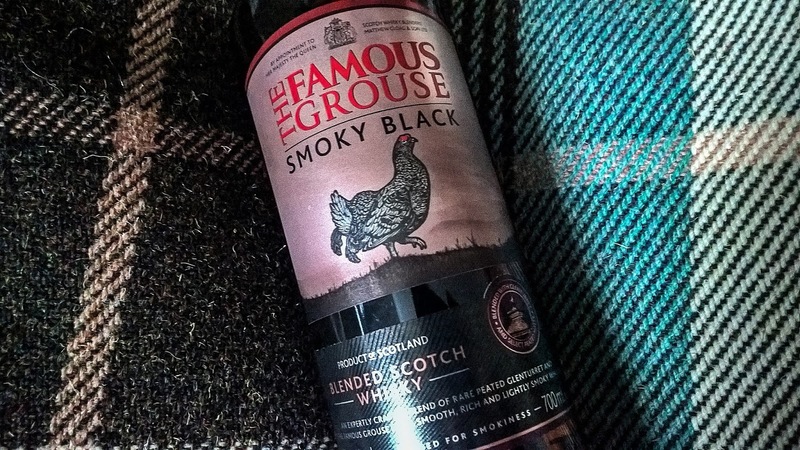 The Famous Grouse has taken its Black variant and transformed the whisky and appearance into the Smoky Black. 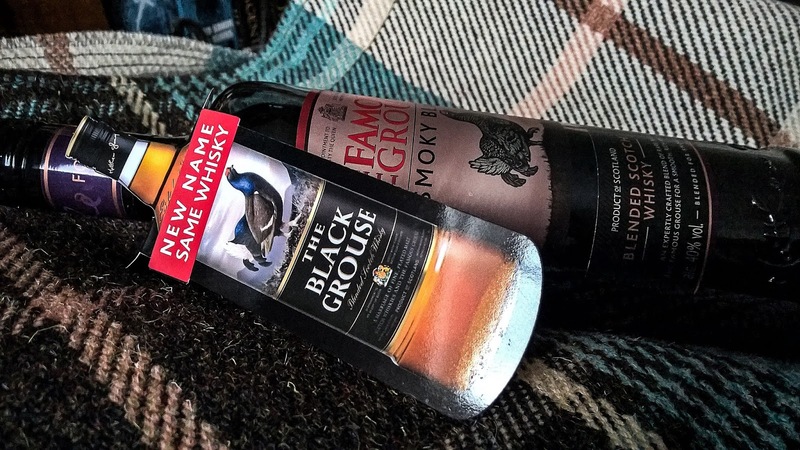 I didn't actually mind the original Black Grouse and its limited premium spin-off the Black Grouse Alpha Edition. Priced at circa £20, Smoky Black is at the lower end of the market for whisky, but for a blend a little more lavish. Such blends remain a very popular option for those who enjoy whisky yet cannot splash out on single malts every week. Seeing the bottle on special for just £15, I couldn't resist picking it up and experiencing the change for myself. What is interesting is that this blend features peated whisky from Glenturret distillery, which has become the modern day home for the Grouse family. In 2013 I took part in a blending session with the Grouse Master Blender, Gordon Motion, that also included the then current Grouse range. He talked about the Ginger Grouse and infamous Snow Grouse including what prompted these and the importance of quality casks over age. During the blending event it was also mentioned that Glenturret (which we toured that day) was also producing peated whisky for a new project. I guess, this project has come to life as the Smoky Black. I do enjoy reviewing these blends, which form the backbone of the Scotch Whisky industry and the range of supermarket offerings. I have an ongoing supermarket review series here that now and again I'll add another review to, as and when I stumble across a new release. It's surprising just how rarely reviewed some of these mass produced blends are! Here's another addition to the assortment then, lets crack open this imposing and seductively shaped black bottle. Nose: tablet and caramel form the foundation of a very sweet and inoffensive aroma. It's certainly not a peaty nose! Stewed oranges, a little cinnamon, apple and with water a touch of soap. Taste: heavy on the grain, you can just taste it dominating the whole experience. As such its more alcohol than a layered journey. Bananas everywhere, I might as well be standing in the jungle. Even adding water doesn't diminish their influence. Oh, it doesn't really take water well whatsoever. There's a noticeable detachment with water, it feels like the top is watery and beneath is just pure rancid alcohol. I've had 5 drams of this in an attempt to find some redeeming character and it's an uphill struggle. With a little time there is a tinge of peat and waft of smoke in the background but a minuscule entry on the PPM chart. Overall: hugely disappointed by this revamp. It feels like a cost-cutting exercise. With calls for whisky transparency currently filling the whisky void, I'd love to see the comparison between this and the previous Black Grouse in unit cost terms. The naming of Glenturret's malt peated whisky as an inclusion in reality seems to be a feeble attempt at a smoke-screen. Except once tasted there isn't that much smoke to warrant the name and a nagging feeling you've been had.